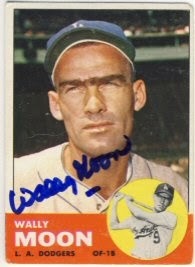 1954 Rookie of the Year Wally Moon signed his 1963 Topps for my set. 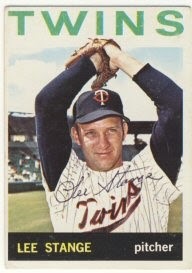 I ordered a bunch of cards on eBay last night and will probably order a few more tonight for my last bug mailing of the year. 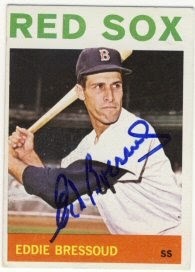 I'm still focusing on the 1963 Topps set, but still considering which set to send out in addition to the 1978 set for my next project. 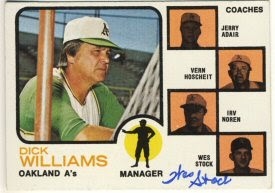 It will probably be the 1979 set as it looks like I can get a whole set relatively cheaply. I had three returns today. I haven't had too many multiple-return days lately. 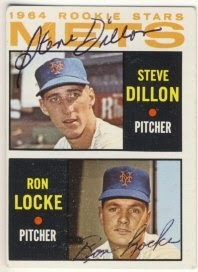 Steve Dillon signed his 1964 Topps already signed by Ron Locke. 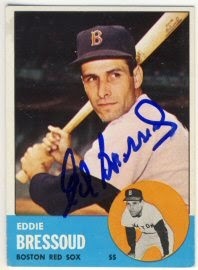 Eddie Bressoud signed his 1963 and 1964 Topps. 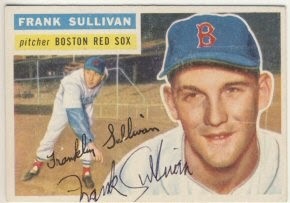 Frank Sullivan signed his 1956 and 1963 Topps. 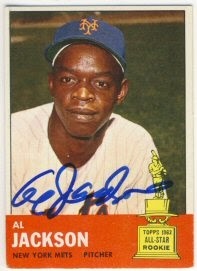 Al Jackson signed his 1963 and 1964 Topps, as well as an extra 1963 Topps I had enclosed for him to keep. I started off the week with a single return. 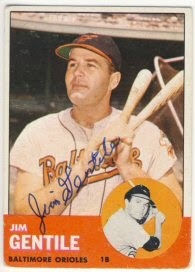 Jim Gentile signed his 1963 and 1964 Topps. I've sent off about 5 requests in the last week. 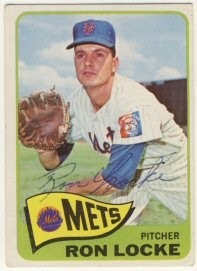 I may need to go online and buy a few more cards. 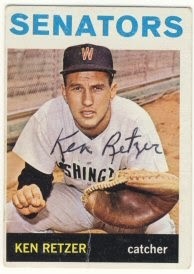 I'm also starting to think about TwinsFest and what I might want to get signed there. 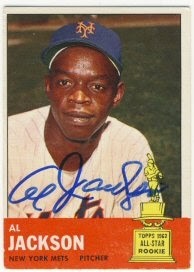 I've wanted one of these for a long time, but I've never wanted to pay the price that people have been asking for them. 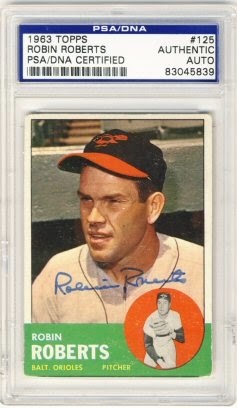 A little while ago I saw this one on eBay for about half of what they normally sell for. There is a small chip out of the back of the bottom on one side, but I'm happy to tolerate that that for the price. 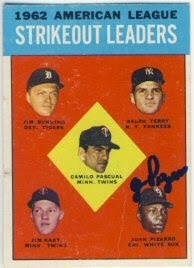 It's an odd collectible and I'm not sure why I wanted one, but I like to collect things related to the 1965 Twins team. I received a couple of eBay purchases lately. 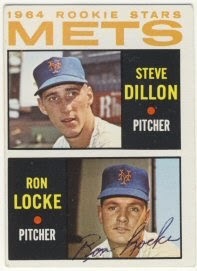 I purchased these from the same SCN member that I purchased several other cards from earlier. I sent out four requests earlier this week, and have about 25 outstanding requests that I hope will start coming back soon. 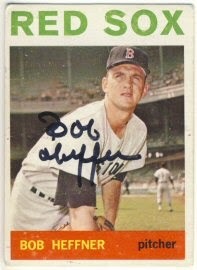 Several are from signers that take a while to return their requests, so I haven't given up hope yet. 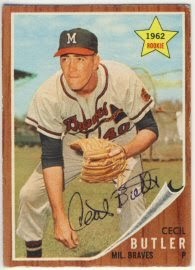 One was to Whitey Ford, that I'm really anxious to get back. He usually responds pretty quickly, and it's been a while. 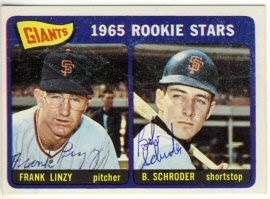 Yesterday I received the 1965 Topps back from Bob Schroder, which was already signed by Frank Linzy. 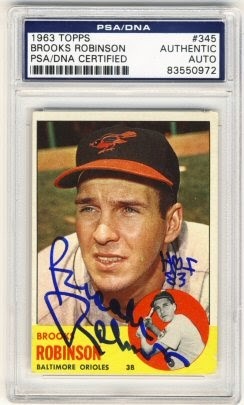 I now have two of these complete, as I previously got one back from Linzy which was already signed by Schroder, as mentioned here. 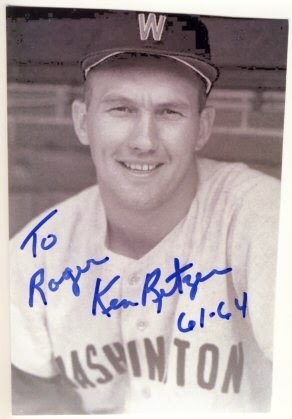 One nice return in the mailbox today. 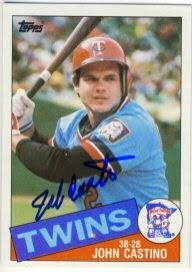 1979 AL Rookie of the Year John Castino signed his 1985 Topps for me. 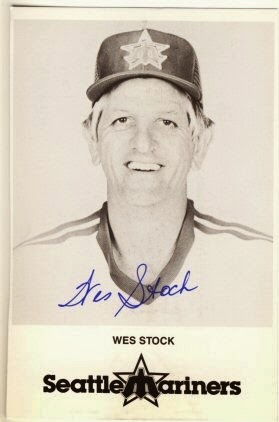 He played in only eight games in 1984 and didn't play at all in 1985 due to back problems. I was out of town for a couple of days and only had a couple of returns when I got back. 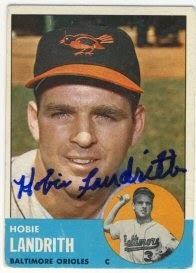 Hobie Landrith signed his 1963 Topps. 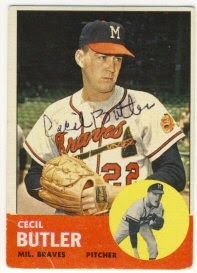 Cecil Butler signed his 1962 and 1963 Topps for me. 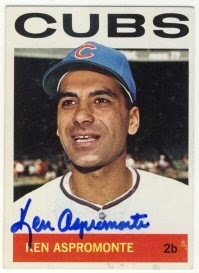 I haven't sent out many requests lately so things could be slowing down. I got home late last night and didn't post the two returns I got. 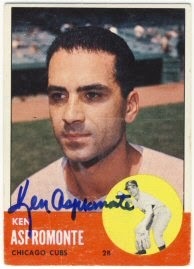 I also got one more today. 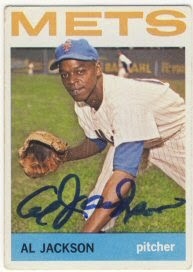 Yesterday I received a 1964 Topps from Ron Locke who was kind enough to also include a signed 1965 Topps. 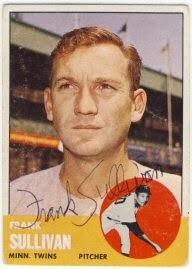 I also received a 1963 Topps Strikeout Leaders card signed by Juan Pizarro. 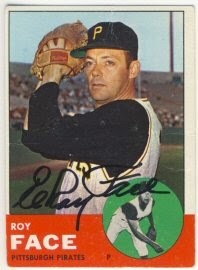 Today I received a 1963 Topps signed by Roy Face. Another return today. This brings my return streak to 9 days. 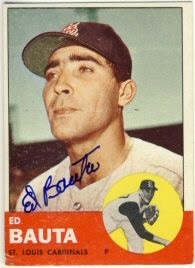 Ed Bauta signed his 1962 and 1963 Topps. 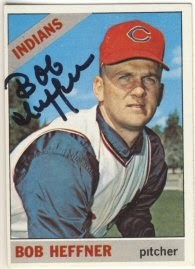 Just one return today: Bob Heffner signed his 1964 and 1966 Topps for me. I received four more returns today. 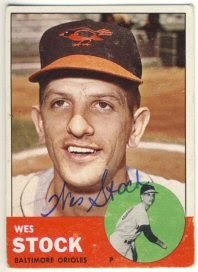 Wes Stock signed his 1963, 1964 and 1973 Topps. 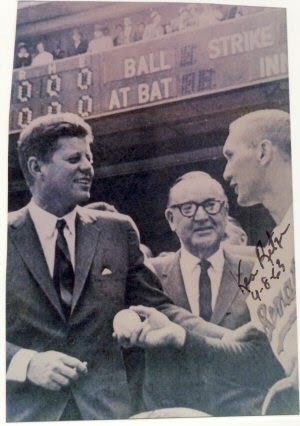 He also included a signed photo. 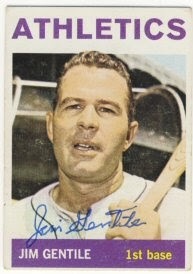 Jim Duffalo signed his 1963 and 1964 Topps. 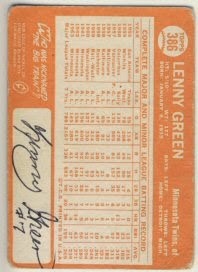 Lenny Green signed his 1963 and 1964 Topps. 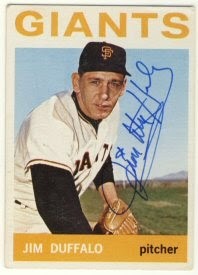 He signed the back of the 1964 card. 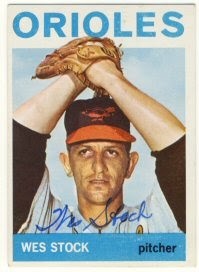 I'm not sure why, but my best guess is that the picture on the front of the card is pretty dark and it might be hard to see a signature on it. 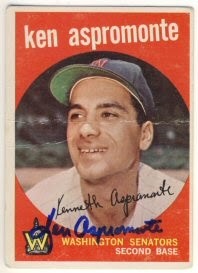 Ken Aspromonte signed his 1959, 1963 and 1964 Topps. I haven't sent out too many requests lately. 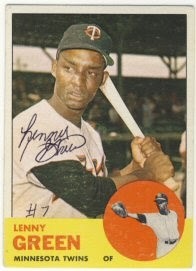 I don't have many cards left to send for players that don't charge, so my requests will start slowing down. I got three more returns back today. 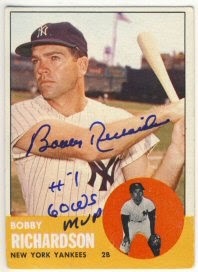 Bobby Richardson signed his 1963 Topps. 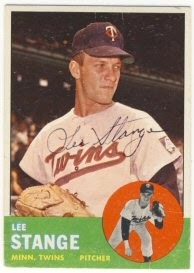 Lee Stange signed his 1963 and 1964 Topps. 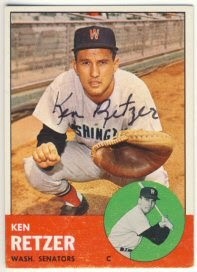 And Ken Retzer signed his 1963 and 1964 Topps and included a couple of signed pictures. 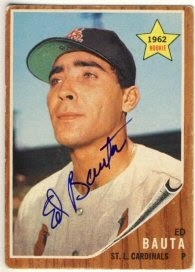 I'm chipping away at the 1963 Topps set and getting a few from 1964 along the way. 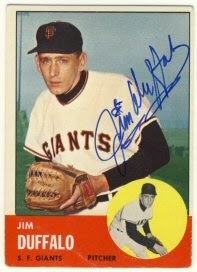 I think this makes 199 signed 1963 Topps.